We’ve heard it time and time again and add some. A new revolutionary battery that is going to prolong the life of our tech, unshackle it from the bounds of the wall socket, well, maybe not quite as dramatic, but, you definitely get the idea. Joking aside, however, we are in dire need of a portable power revolution if we are going to keep up with the ever-increasing needs of our sophisticated tech. Given that the basic principles under which batteries operate, as well as their size limitations have become pretty fixed, the only salvation seems to be in new materials to enhance the controlled electro-chemical reaction we rely on. 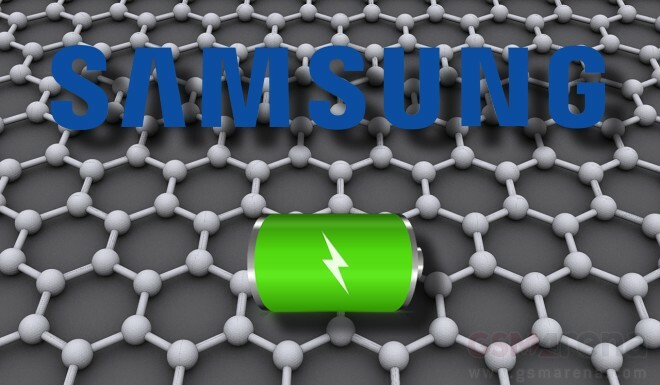 Researchers at Samsung have done just that and promise to deliver whopping 1.5 to 1.8 times greater charge in future commercial batteries. 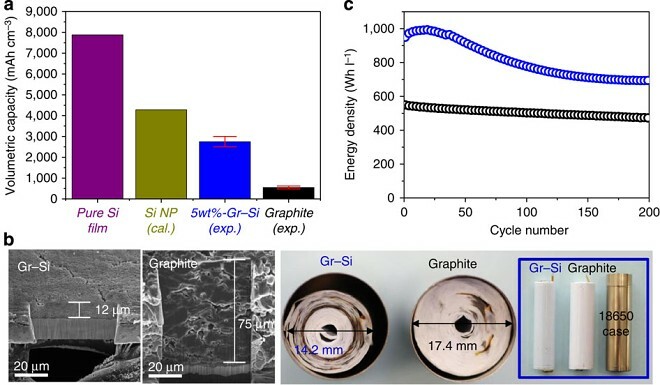 The new technology boils down to a new method of coating battery cathodes with Graphene. Actually, the Graphene is directly grown onto a silicon coating surface, without forming silicon carbide. This idea has been experimented with before, but the Korean tech giant is confident that it has managed to develop a commercially-viable process. The end gain is that each full cell can reach a volumetric energy density of 972 Wh l−1 in its first cycle, which is around 1.5 to 1.8 times greater than current commercial lithium ion batteries. The main challenge in this type of design is that it usually reduces the number of discharge and charge cycles of the battery significantly. However, Samsung researchers promise that they have dealt with the issue to some extent and claim their technology will offer good cycling performance (about 700 Wh l−1 on the 200th cycle) . And as long as their idea of good doesn’t mean throwing away your phone or perhaps even electric car once every couple of years, the concept definitely has potential. Like most cutting edge tech, however, there is still a lot of work to be done and Samsung estimates that its research will become marketable in no less than two or three years.